Sometimes, it can feel like your siding is actively fighting against a beautiful first impression. The upshot? There is a solution – and it’s called house washing! Never trust a contractor who says they’ll use pressure washing to clean your home. This method is too forceful to your siding and can cause issues like water damage, cracking, warping, and more. 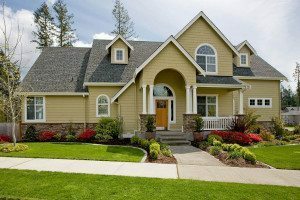 Pressure Kleen uses our low pressure washing method to invest in the long-term caliber of your home. This means that you aren’t just getting curb appeal today… You’re getting it for the long run.